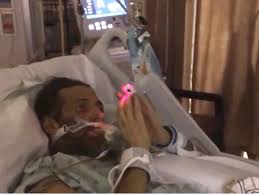 Texas Right to Life is working to save a vulnerable Texan, David Christopher "Chris" Dunn, from being euthanized against his will at Houston Methodist Hospital. Under the state's draconian Texas Advanced Directives Act (TADA) the hospital has arbitrarily decided to withdraw Mr. Dunn's life sustaining treatment. Mr. Dunn wants to live as you can plainly see from the video at the link above. Below is a letter I have mailed to Texas' Governor Greg Abbott pleading for Mr. Dunn's life. 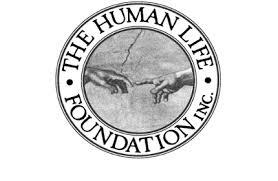 I ask readers of the HumanLifeMatters blog to send the Governor a twitter message asking that every effort be made to save David Christopher Dunn's life by moving him to another facility where he will be safe and given the therapies and treatments he needs to live to his full potential. 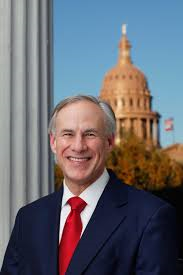 Governor Abbott's twitter address @GregAbbott_TX Please be respectful. See below the text of my letter mailed 09 December 2015. I also alerted Governor Abbot by Twitter of this blog post which will give him immediate access to the contents of my correspondence. David Christopher Dunn is a patient at Houston Methodist Hospital. He is about to be killed against his wishes, under the Texas Advanced Directives Act (TADA). Mr. Dunn is unable to defend himself against removal of life sustaining treatment. I plead with you to intervene long enough for Mr. Dunn’s family, and his allies, to find another facility where he will be safe. Please use your authority or influence to ask the courts to give a time extension to Mr. Dunn’s life sustaining treatment and care, or persuade the Houston Methodist Hospital to cooperate until another facility can be found where he will be safe. Thank you for reading my appeal for David Christopher Dunn. I would like to take this opportunity to wish a Merry Christmas to you and your loved-ones.